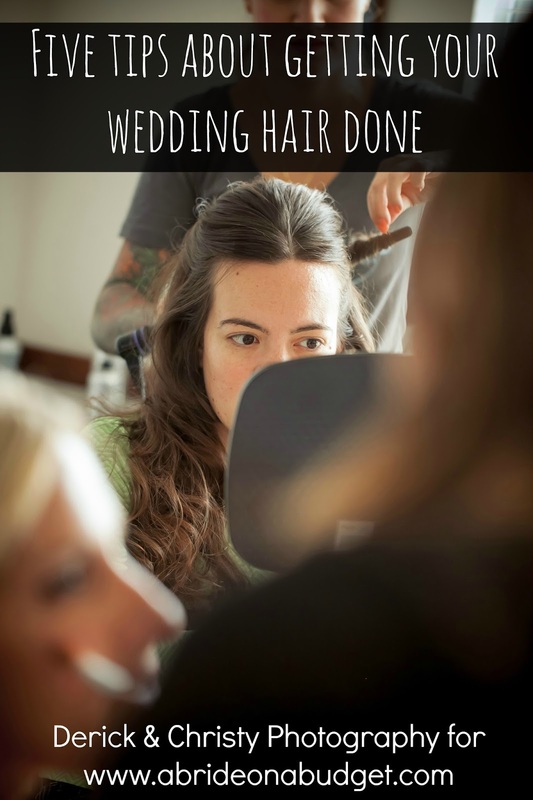 A Bride On A Budget received these items for review. All thoughts and opinions belong to ABOAB. I was on Pinterest once upon a time and saw wedding door hangers. They were so cute. 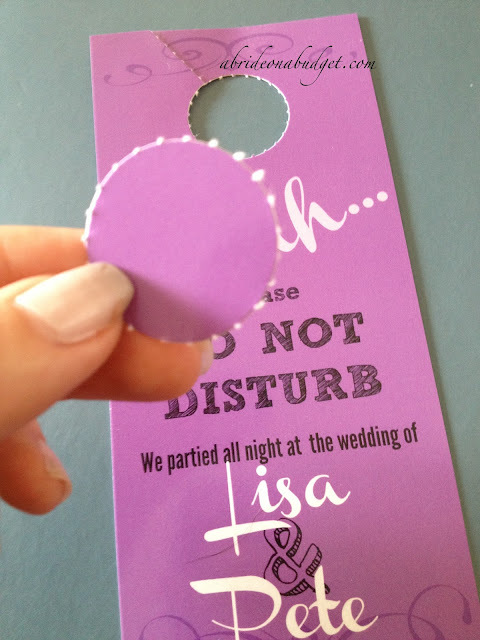 You add them to your wedding welcome bag so your guests can hang them on the hotel doors the day after the wedding. I was determined to have these. I looked all over, though, and couldn't find wedding-related companies that actually made these. I found ones that printed similar items, and found companies that tried to get me to print on other items and then DIY the rest, and I even thought about printing as 4x6 prints at the drugstore and cutting them. And then I found door hangers at 123Print. That's not the only product at 123Print, though. You can get full stationery suites, starting from save the dates and ending at thank yous ... plus everything in-between. For every item, you can use a pre-made design and edit to add your own information, or you can upload your own image. Personally, I knew I wanted to design my own door hangers. See, the ones that are pre-made are mostly for businesses, since they usually hang these door to door for advertising. The pizza chain here hangs one on our door once a week, at least. There's no way the pizza chain and I needed the same template, so it was easier for me to just head to PicMonkey, design, and upload my design. You have to understand that these are not print at home items, so you won't get them as immediately as you would if you printed them on your own printer. You do have to wait for the designer to set it up, print, and ship. It took mine a bit longer than a week to arrive. I wasn't in a rush, so that was fine with me, but this isn't something you should save until the last minute. When they did arrive, they were perfect. They were bundled in sets of three and, since there was room between the product's edge and the box's, there was tissue paper stuffed between. That way, the product didn't shuffle around in the mail and get ruined. I was super happy about that -- and would definitely have felt secure ordering wedding invitations from them. With wedding stationery, you do want it to be perfect and want to assure that the corners aren't rounded (unless that's the style you picked, of course). I pulled one out of the box, and it was perfect. That's the only word I can use to describe it. The door hanger was printed on a glossy paper, so it has this beautiful shine to it. And it just looks really, really expensive. 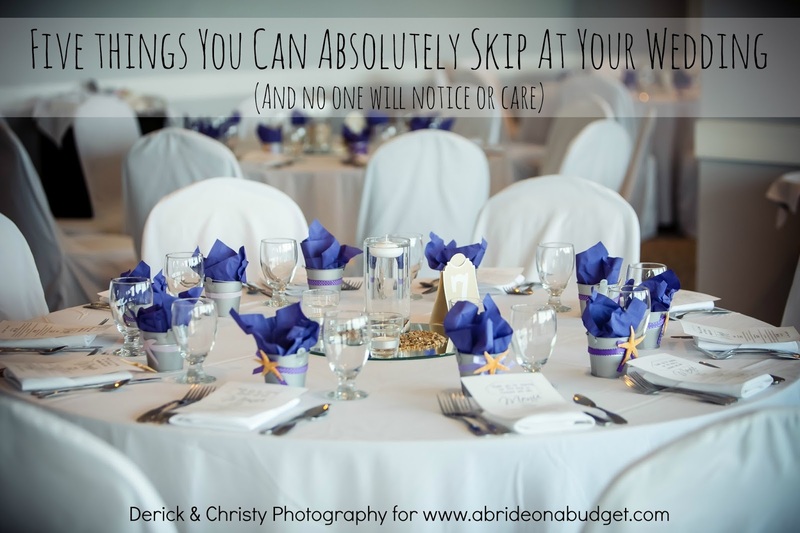 They're not, but they look that way (which is exactly what you want for your wedding). I expected these to be printed on matte cardstock. Why, I don't know. I couldn't actually find anything about paper type when I ordered, but I just expected it. So you can understand why this glossy paper surprised me. 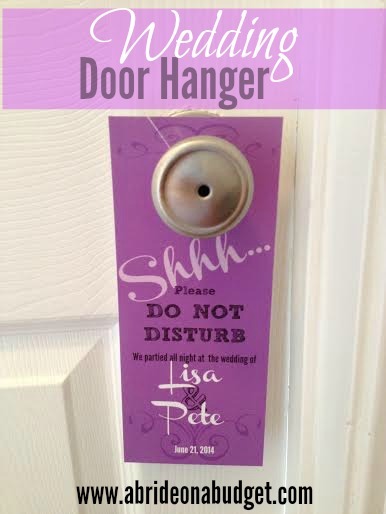 The door hangers come with the door hole left it and it's up to you to pop them all out (or don't, if you don't have the patience, but then you run the risk of your guests not using them and that would be a waste of your money). If you were to try to print these at home, you would literally have to cut every door hole. You wouldn't be able to just drop these in your wedding welcome bags and expect your guests to have packed scissors in their suitcases. So even though popping these holes out might seem tedious, it's easier than DIY and cutting (and this is coming from the girl who spent 13 hours cutting wedding invitations). I'm seriously so impressed with the quality of the door hangers that I feel completely confident that all the other products the site provides are "wedding quality." 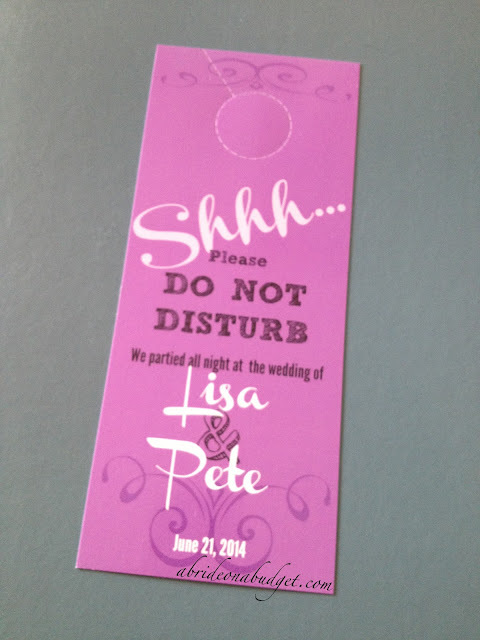 BRIDAL BABBLE: Would you order these wedding door hangers for your wedding? 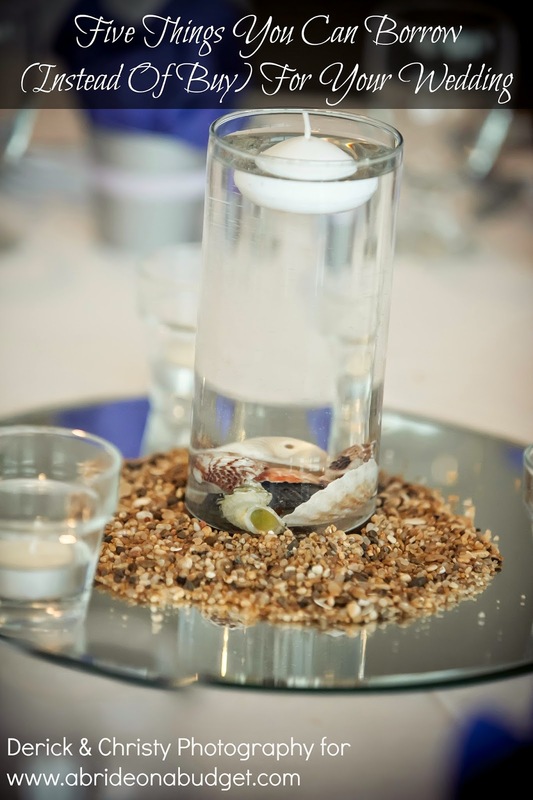 These are actaully a great idea for a wedding! Smart thinking! Congratulations! It is a great idea. I think your guest will like.